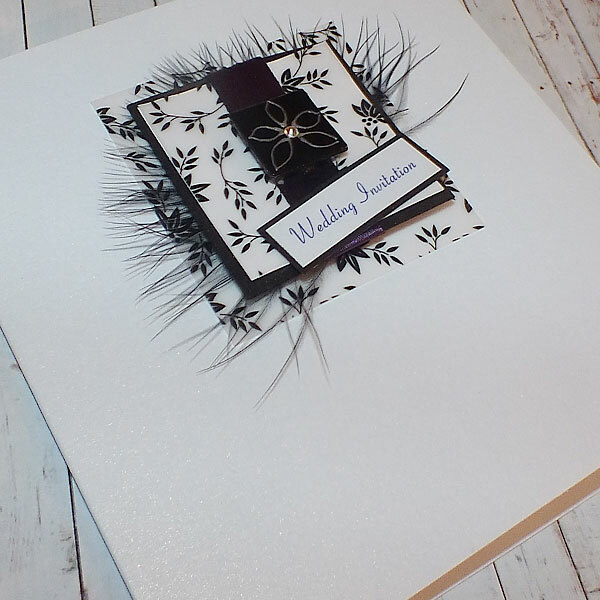 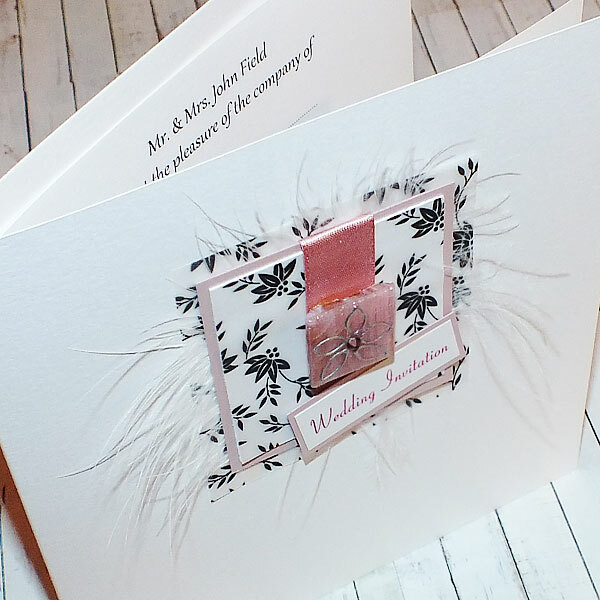 The Eden wedding stationery range is a pretty design featuring a hand painted mirror or glass tile, feathers and diamontes. 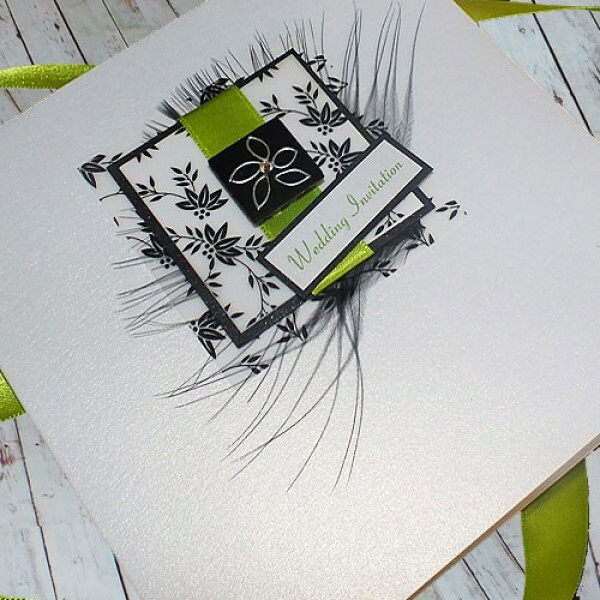 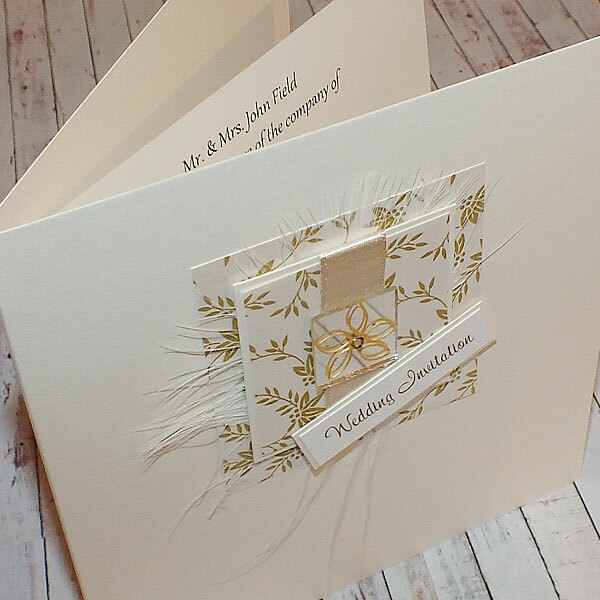 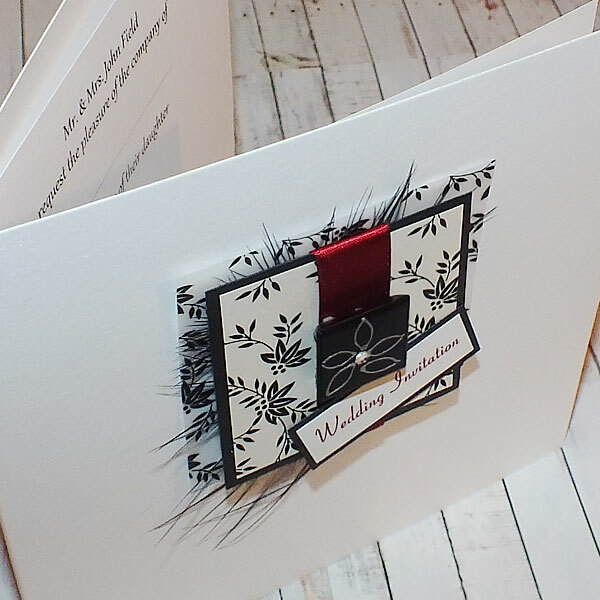 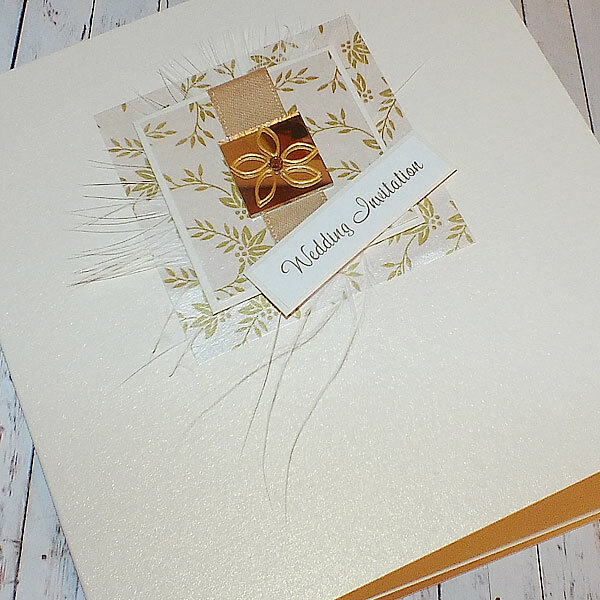 Shown here with a cream ribbon, the design can be made in many colour schemes. 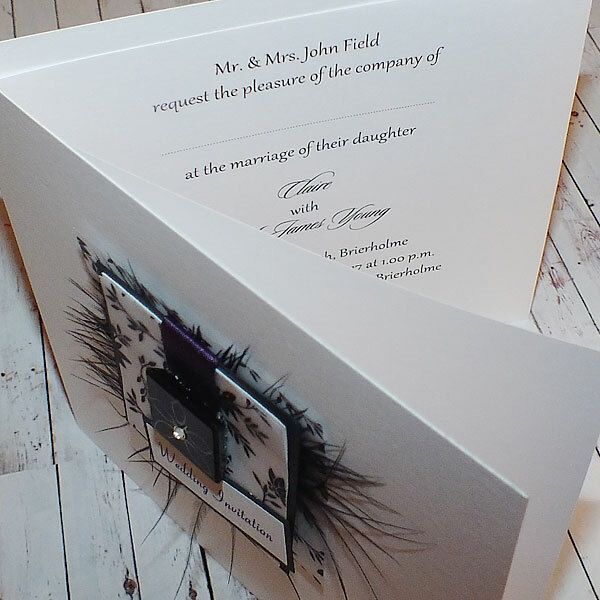 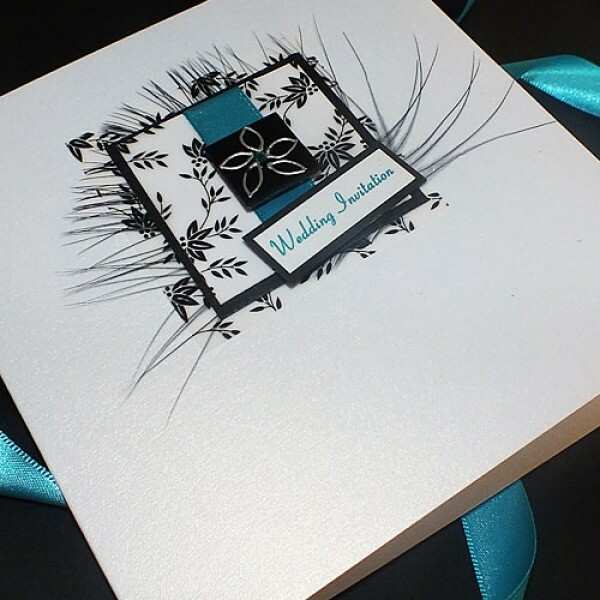 A full range of items is available to match the Eden Wedding Invites including evening invites, orders of service, menus, place cards etc.